Who could have ever imagined that within less than 5 minutes you can install & start running your own Directory for as less money as you can think of (just 48$) ! Well this is no longer a promise, it’s a fact. 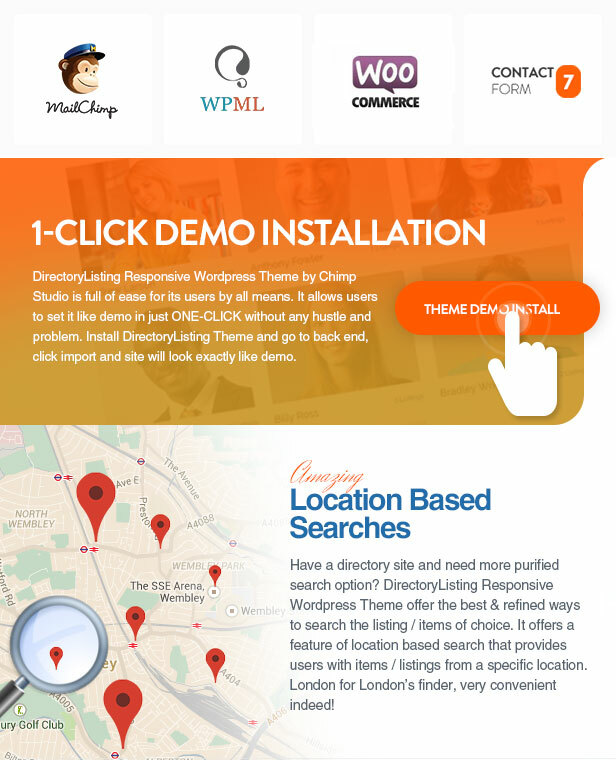 Set up an online directory portal of any type – companies, shops, restaurants, real estate, websites and so on in no time withDirectory word press theme. Secured payment is main & major concern while dealing an online business. 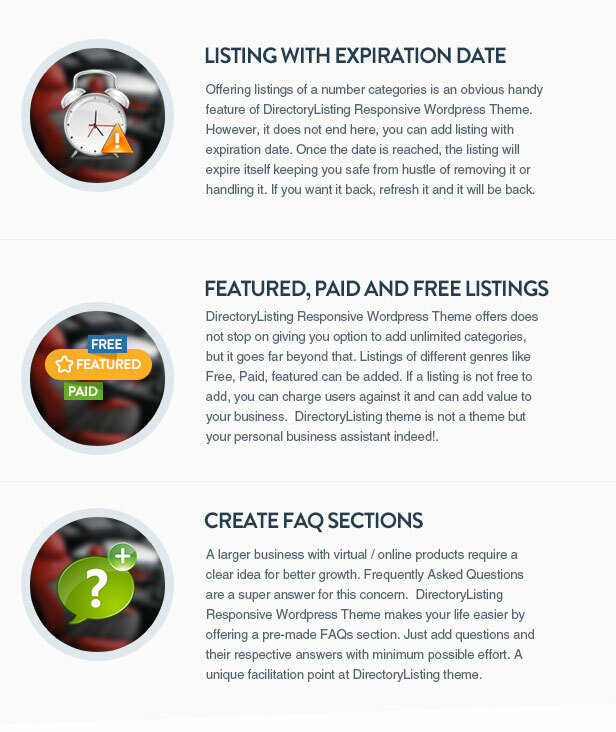 DirectoryListing Responsive WordPress Theme comes with paypal integrated in it.Paypal is most trusted and efficient payment gateway available in almost all corners of the world. 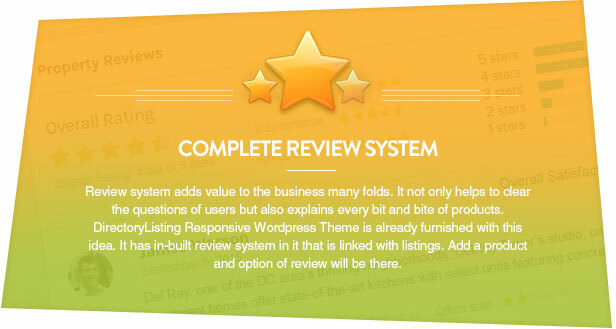 Directory theme offers complete management of payments via paypal. It also offers a recurring paypal payment system so that your members can register and subscribe to a corresponding package and pay on a regular basis (the membership conditions & duration can be chosen in the control panel by the admin). 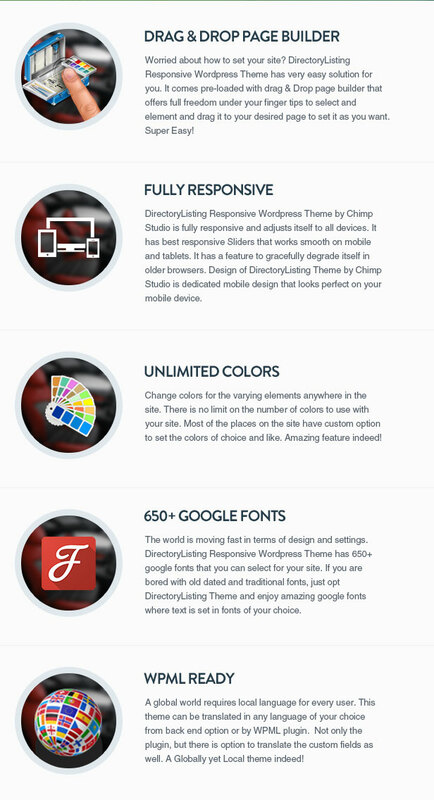 DirectoryListing Responsive WordPress Theme by Chimp Studio is fully responsiveand adjusts itself to all devices. 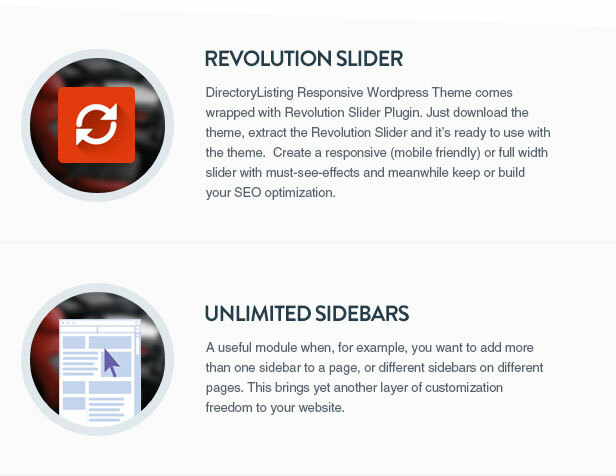 It has best responsive Sliders that works smooth on mobile and tablets. It has a feature to gracefully degrade itself in older browsers. Design of DirectoryListing Theme by Chimp Studio is dedicated mobile design that looks perfect on your mobile device. Have a question, suggestion or issue regarding Directory Listing Theme, we have asuper-fast and friendly support platform that comes in a flash via Quick Chimp Support Centre. We keep a strict check to maintain high class support service to keep things easy and smooth for you.